As you know, my Can-O-Worms arrived yesterday and I was like a child at Christmas, very excited about unwrapping it and setting it up. It was extremely easy to put together and within about 90 minutes, I had it set up and ready to use. Most of the time was spent soaking the bedding, which I just left in a bucket of water for one hour. I didn't take photos of the whole process, but Jane at Horticultural did and I recommend taking a look at her Can-O-Worms blog post, so you can see how easy it really is. The hardest part for me was the thought of unpacking the worms. One worm I can deal with and perhaps two, but any more than that represents a squirmy wormy, wriggly wiggly jumble that affronts my squeamish side. I could never really have made it as Charlie Dimmock, as Mr A reminded me when I created our garden a few years ago. 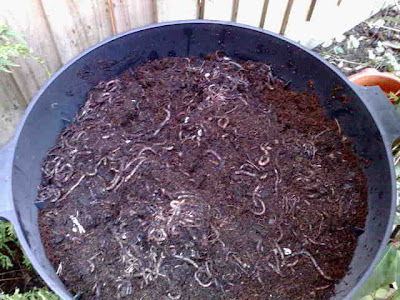 However, a quick snip of the packaging (having shaken the bag to make sure that that no worms would be damaged in the process) meant that I could just pour them into the wormery. A couple had escaped and I managed to scoop them up and pop them back in. Having been all "eurgh" about the wriggly creatures, I seem to have developed an immediate fondness for them and have adopted them as our new pets. As with all pets, it was time to give them some food, a breakfast of banana skins, bread and egg shells, with the odd piece of red pepper. After that, it was time to cover them up, leave them to it and get on with some work (both me and them). I am really pleased that I found a great sheltered spot in the garden, which has suitable screening, where they can be left undisturbed. I'm now looking forward to giving them the leftover cheese sandwiches from last night's tea, which would otherwise have ended up in the bin. We have to be very careful to not overfeed the worms at this stage and take it very slowly, but once it's fully up and running, this new addition to our garden will make a valuable contribution towards my Zero Waste goal. If you've been inspired, have a look at the Wiggly Wigglers site for more details and if you have any queries, the lovely people there will be very happy to help. They even have a blog, which covers lots of other interesting topics. Although the idea of handling your worms is initially rather gross, it does get easier with time! 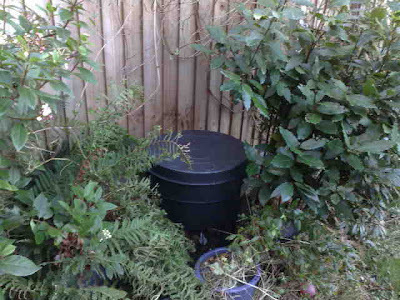 Good luck with your drive to be waste free.With a combination of a wormery,bokashi bucket,compost bin and excellent recyclables kerb side collection we have reduced our bin down to the 120 litre size which is collected fortnightly and quite often their is hardly anything in it. We have been doing this for years and now is part of the family routine. I even bring waste home from work as they won't recycle it. Hi Muppet - thanks for the reassurance there, I am doing my best to try and catch any of the little wrigglers that tries escaping. So practice will indeed help. Hi Mark - thanks for the support. It's great to know that what I am trying to achieve, can actually be done, so any more hints and tips are very welcome. http://www.tetrapakrecycling.co.uk/ it has an interactive map showing the locations were you can recycle the Tetra Pak style of wax cartons. Hi Mark - thanks for the reminder. Mel at Beansprouts also mentioned it. 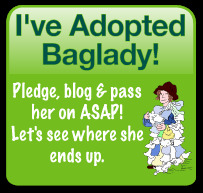 I'd meant to add it as a link, but had forgotten so will do so as soon as possible. 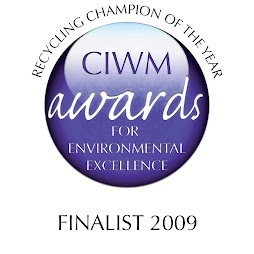 It's quite timely, especially as we took the tetrapaks to our local recycling point just this afternoon. You do get quite fond of the little things in the end and there's nothing better (well for composting anyway) to see handfuls of wriggling worms working their way through your kitchen waste. 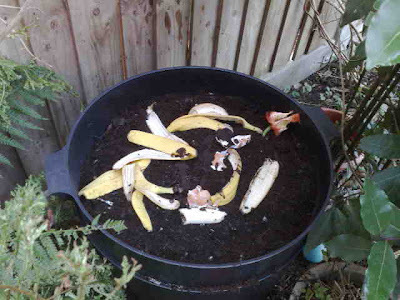 I have had a wormery for about five years now - I have to say that eggshells don't get eaten and disappear. It probably is not a problem to the eventual compost though. Also, for anyone who doesn't yet know, I already pointed out that teabags leave a polyester net residue (they contain some polyester so the manufacturers can heat seal them but the worms cannot digest it).